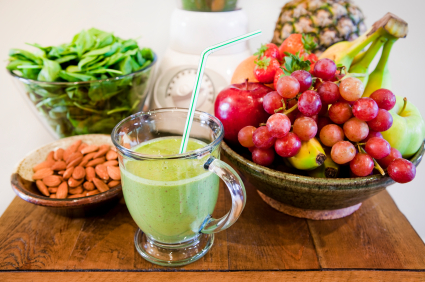 What we eat and drink can radically change the appearance of our skin. 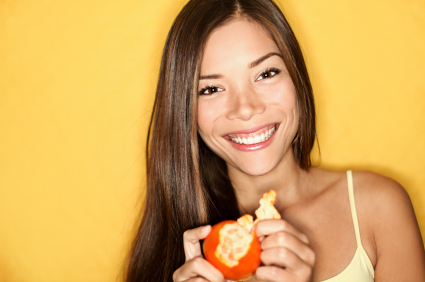 Eat the right foods and we witness glowing, clear and luminous skin. Eat the wrong foods and our skin loses its elasticity, becomes puffy, red and lined. By simply changing what we put on our fork we can control the texture, pigment and firmness of our skin. Radiant and lustrous skin happens when we supply our body with the vitamin, minerals, amino acids and phytonutrients needed to build the skin’s structure and prevent it from free radical damage and inflammation. Free radical damage and inflammation are triggered by oxidative stress and glycation. Both of these result from excess sugar and carbohydrate consumption. We all know to avoid the obvious – pizza, pasta, cakes, cookies and so forth but what about those granola bars, fruit shakes, yogurt and cereal? All are loaded with hidden sugars, which can cause the cross-linking of proteins that leads to damaged sagging skin. Hidden food sensitivities are another form of inflammation with gluten, dairy and soy being the key culprits. Alcohol and coffee can be dehydrating to the skin and place additional stress on the liver to remove the toxins. Just one glass of wine passes through the liver 100 times before the alcohol is removed. That’s not to say that you need to lead a teetotaling lifestyle with no coffee, sugar, gluten, dairy or soy. Instead, just keep those food and beverages limited to a maximum of 1-2 per week and omit them 14 days before a shoot or show. Equally as important, are the foods you include. The most common deficiency I see in models is insufficient protein. Protein is important for firm, luminous skin as the amino acids that make up protein are needed to create the skin’s matrix as well as collagen and elastin. Without sufficient protein, the skin starts to lose its vibrancy and elasticity. The best protein choices are chia seed (vegan), organic eggs, wild salmon, black cod, herring and sardines. These protein choices are also rich in omega 3′s which help keep the skin soft, supple and hydrated. Eating dark leafy greens such as kale, collard greens, broccoli rabe and Swiss chard provide the skin with antioxidant protection and help upregulate the body’s detoxification mechanisms to help clear toxins and old hormones from the body. Yellow fruit and vegetables are also paramount as they contain carotenoids, which help control cell turnover for clear, clean skin. Papaya, peaches, pineapple, sweet potato and spaghetti squash are ideal choices. Avocado and raw seeds such as sunflower, pumpkin and hemp seeds contain concentrated amounts of Vitamin E, which is an antioxidant that protects the skin from pigmentation and fine lines. Water it helps flush toxins and keeps skin hydrated. The only difference between a grape and a raisin is water. Aim to drink 8 glasses of water per day.